Does Anyone Know How To Start Your Own Club? pujian AWARDED TO HELPER! Tails: *goes to Sonic* I just got some important news anda might wanna hear. It seems like a regular day, but then someone runs sejak at 500 miles an hour. Sonic: Tails, anda read me? 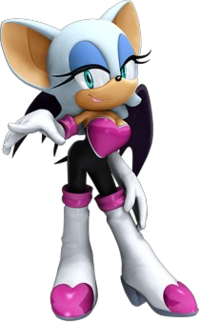 This is all about Rouge's story from she was a little girl. This text is what I've read from true wiklypedias on Google so I have decided to bring it to Fanpop! Please leave a comment! There might be some parts where you'll think "This girl is MAD!!!" yes I know but all of this IS true. I do expect a bad komen so PLEASE be honest.